October 21, 2015 November 16, 2015 M.E. Found on a search for public domain images. So don’t sue me. 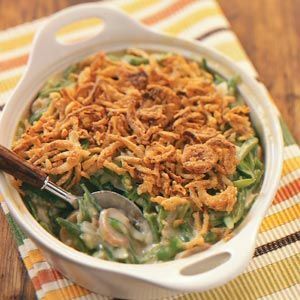 Green bean casserole was invented in 1955. Can’t get much more mid-century than that. Just think, when Mom first made this dish (or at least first recorded making it), this ubiquitous holiday dish was only 11 years old. And this year, it celebrates its 60th birthday. In November, Mom hosted bridge club: “just snacks – last time”. Sad. But I know Mom didn’t really mind, seeing as she wasn’t a big fan of bridge. Thanksgiving is noted in its own post. There’s that pork tenderloin casserole again! Still not sure why you would take a beautiful, tender cut of meat like tenderloin and put it into a casserole. There’s something I must be missing here. But I love the red and green sherbet idea for Christmas. That is vintage Mom.